Dunkirk is historically an industrial port, and is notably the location of one of ARCELOR’s strategic sites. Because of this, bulk traffic has always been significant in the port, and now accounts for half the total volume. The total volume handled by the port of Dunkirk in 2014 was 47.10mt (million tonnes). This was an excellent result for France’s third-largest port, an increase of 8% compared with the previous year. At 23.6mt, generated essentially by the steel industry (ArcelorMittal), dry bulk was up by 9%. Occupying 17km of coastline and a total area of 7,000 hectares, the port of Dunkirk can offer solutions adapted to all types of bulk traffic. And its strategic location, with direct access to the sea, means it can berth ships with draughts of up to 14.20m via the eastern entrance to the port and up to 18.50m via the western entrance. 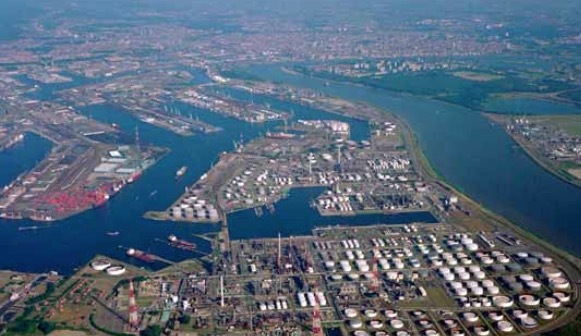 Located on the North Sea, just 90 minutes’ sailing time from the world’s busiest seaway (600 ships every day) and with excellent accessibility for shipping, the port of Dunkirk wants to be a Gateway Port, a redistribution platform for bulk cargoes and short-sea shipping. The port has demonstrated its know- how in the handling of solid bulks, and this position must be reinforced and exploited by accommodating the world’s largest bulk carriers and developing transshipment activities. 3,000 hectares out of the total occupied area of 7,000. This means it can easily satisfy businesses seeking a strategically- positioned site, very close to the sea and with road and rail links. What is more, the port of Dunkirk, as France’s foremost rail freight hub, is covered by a 250km network of railway lines. This proactive policy is fully in line with the national ports strategy for the development of logistics and consolidated overland transport for large volumes. With all this, any company that decides to set up here is assured of excellent maritime links and an easily accessible hinterland. With its covered storage areas, some of them wharfside, DMT offers a complete solution of discharging and reloading ships and barges or trains for all types of small bulk cargoes. In particular they are specialized in the handling of powdered goods and have specific equipment for this. The quay and storage yard extension was commissioned at the beginning of 2013. The maritime quay and the waterway berth provide access for ships and barges and allow high throughputs at loading and discharge. A further 15,000m2 of wharfside storage yards means DMT can provide new, competitive logistics solutions. With private railway sidings, weighbridges and a train intake pit, DMT offers a reception and shipment rate of 300 tonnes per hour for agricultural products. The facilities also include truck loading and unloading stations and road weighbridges. storage capacity, 55,000m2 of which is designed for the storage of fertilizer and other ores (magnolite, clinker, gypsum, etc). DMT can offer customized solutions such as bagging services. Present in dozens of terminals in France, Belgium, the Netherlands, Poland and Ivory Coast, SEABULK is one of the leading operators on the dry bulk handling market. At Dunkirk, SEABULK not only handles small dry bulk traffic but is also one of the main operators in industrial heavy bulks. Installed in the eastern, central and western parts of the port, SEABULK has multimodal terminals and efficient equipment for the handling of small dry bulks. With its facilities on terminals dedicated to the handling and storage of bulk goods, SEABULK is able (depending on the area of the port) to accommodate ships with draughts of up to 14.20m. Specialising in almost all types of dry bulk, SEABULK is particularly active in the sector of fertilizer, agricultural bulks, bauxite, lime, scrap metal, etc, and also offers its clients large areas of open storage and possibilities of covered storage. SEABULK is also a major operator of the port of Dunkirk in the field of industrial heavy bulks. Having its facilities in the western part of the port (with direct access to the sea), the terminal boasts 200,000m2 of storage space and can accommodate ships with draughts of up to 18.50m. Its 650 metres of quayside allow two Capesize ships to berth simultaneously. Based at Loon Plage, EFD is situated within the inland port and is able to handle all types of product, regardless of packaging method. With railway and canal branch lines, the EFD platform can carry out direct transhipment or transfer to storage yard, and offer its clients open or covered storage facilities. Supported by the ambitious investment policy of Nord Ce´re´ales, the port of Dunkirk has beaten record after record in grain exports. This development coincides with the return of the rail mode on this market. These excellent results are due to the drive of the operator who has improved productivity through significant investments, making it possible to berth and load very large-size ships (14.20m draught) with high throughputs. The growth of grain export volumes is also boosted by a reorganisation of land-based logistics. Alongside waterway transport, which accounts for 52% of supply, the rail mode is again being used after a gap of ten years, enlarging Dunkirk’s hinterland towards eastern France. Nord Ce´re´ales offers vertical and horizontal storage capacities of 330,000 tonnes in the port of Dunkirk. Bureau Veritas (BV) is a classification society responsible for the assessment of ships’ conformity with specific sets of rules developed in-house and also according to standards developed by the International Maritime Organization, the Flag Administrations and other International bodies. Through our activities, we contribute to global maritime safety and help protect the marine environment. BV is active in the classification of all types of ships and maintains a leading position in the bulk carrier sector. It has contributed actively in the safety improvement of bulk carriers which endure a very demanding service life while at sea and in port. Today the BV fleet stands at 11,270 ships with an aggregate tonnage of approximately 109m GT. The average age of the fleet is 13.2 years. 37.6% of the tonnage corresponds to bulk carriers making this market segment the strongest tonnage contributor for BV. The 1,067 bulk carriers in Class represent also the youngest ships in the fleet with an average age of just below eight years. In the past four years we are witnessing a decrease in the average age of BV’s bulk carrier fleet which can be attributed to the increased inflow of new vessels and the exit of older ones mainly for scrap. BV’s bulk carrier fleet represents more than 10% in both tonnage terms and number of ships of the global dry bulk fleet, which is responsible for the transportation of more than one- third of all international seaborne trade. Ultramax. We also don’t see a wide range of Handysizes anymore and the main size in the orderbook is close to 40,000dwt. The world bulk carrier orderbook stands today at 133m dwt and approximately 1,600 vessels which is in the low 16% of the fleet. This represents a healthier orderbook to fleet ratio compared to the past which steadily hovered above 20%. BV’s orderbook stands at 110 vessels corresponding to 10m dwt. Forty-four of these vessels are Ultramaxes in the range of 63,000dwt and a large number of Newcastlemaxes of 208,000dwt, all currently under construction in China. BV maintains a leading position in China having supervised the construction of almost 1,200 bulk carriers there. The main objective of BV in the classification of bulk carriers is to ensure that they are designed and built to the highest safety standards and are also surveyed prudently while in operation. During the design and construction of each bulk carrier, BV makes sure that all of its structural elements are examined for their capacity to withstand the local loads of the sea and the carried cargo and also the global loads which result from the overall bending of the ship while at sea. Today, this examination is performed with state of the art 3D finite element analysis software called HOMER which has been developed internally. The examination takes into account the worst waves that the vessel will encounter in its service life. With the aim of increasing bulk carrier safety the new Harmonised Common Structural (H-CSR) rules became mandatory in July 2015. BV had a leading role in the development of the H-CSR due to extensive experience from its large bulk carrier fleet and also its advanced software. BV headed one of the most important domains of the new rules regarding wave loading and buckling assessment. A thorough seakeeping analysis for a large number of modern bulk carriers revealed the need to include the examination of the vessels’ structure under quartering seas in order to accurately account for torsional effects that are becoming more important for large ships. The new rules also introduced accidental case scenarios that safeguard the ship’s survival after a collision or grounding. Dry bulk from HAROPA ports totalled 12.4mt (million tonnes) in 2014, against 14mt in 2013. This decrease is due in particular to the economic situation. At the end of September 2015, total volumes for dry bulk reach 9.7mt (+4.3%). Grain: a good campaign. Exports from HAROPA – Port of Rouen totalled 7.61mt on the whole 2014/2015 season. This figure is an increase of 2.4% compared with the 2013/2014 season and 14% compared with the 2012/2013 season; it is the second-best total in the past 15 years of export. The 2014/2015 season marks the fourth consecutive rise in shipments from HAROPA – Port of Rouen and strengthens its position as a major grain hub in France and in Europe, even in a complicated season due to the bad weather conditions. the high number of Panamax and Overpanamax vessels – 69 in total – which called at Rouen grain terminals: this record proves the ability of the silos to process this type of vessels and reinforces HAROPA – Port of Rouen in its draught improvement programme. The new grain season (2015/2016) is in line with the former one in the Port of Rouen, as at 15 October there were already 2.11mt loaded, which represents an increase of +18% on the same period last year. Main destinations are China (malting and feed barley) and Algeria (milling wheat). This year’s French crop is very good in quantity and quality; however competition with other exporting countries is tough and the diversity of destinations is not the same as last year. The 2014/2015 season prepares for Rouen’s future with the continuation of the access channel’s improvement works, investments which improve Rouen silos competitiveness (river unloading at Socomac silo, new maritime loading equipment at Simarex, river unloading and other investments at Se´nalia, dust reduction system and drainage network at Lecureur) and the announcement of the construction of the new port silo of the Beuzelin company. HAROPA, the fifth-largest port complex in Northern Europe, is a joint venture between the ports of Le Havre, Rouen and Paris. It is connected to every continent owing to a first-rate international shipping offering (linking 600 ports worldwide). It serves a vast hinterland whose core is in the Seine valley and the Paris region forming the biggest French consumer market area. With around ten Normandy and Paris area partner ports, the ‘one-stop’ hub now forms in France a global transport and logistics system, capable of providing a comprehensive end-to- end service. HAROPA handles over 120 million tonnes of cargo by sea and waterway each year. HAROPA business represents 160,000 jobs. From its origins as a local company in 1972, the French company Agena Tramp grew to be one of the leading ship agency and marine services providers in France. Agena Tramp, headquartered in Le Havre, France, is dedicated to ship agency and marine services. Its dry bulk activity consists in co-ordinating and facilitating incoming and outgoing bulk shipments for transportation companies. The company started to operate in the ports of Le Havre, Rouen and Bordeaux in France, before becoming successful and extending to other French ports.AgenaTramp is,now,one of the first ship agencies to ensure the best ports coverage in France with 9 owned offices covering main & secondary French ports from the North, the Atlantic Coast and Mediterranean: Dunkerque, Le Havre, Rouen, Brest, Montoir, La Pallice, Bordeaux, Marseilles and Fos. The company philosophy is to serve the shipping industry through dedication, professionalism, independence, loyalty, expertise and a code of ethics. Agena Tramp is an affiliate of NAXCO Group, one of the largest fully integrated shipping and logistics providers. The French private group, founded in 1967, is a leading and innovative global partner, present in all segments of the transport and logistics worldwide. NAXCO Group is composed of 24 affiliates and 450 employees, all active in shipping, forwarding and logistics, NVOCC and Marine services. About 60% of Agena Tramp’s business relates to dry bulk activity. Since its establishment, the company has always put dry bulk at the forefront of its strategy. Its own offices and employees in Bordeaux, La Pallice, Montoir and Dunkerque ports are the bulk key drivers, in addition to the others activities. Dry bulk is a demanding market requiring further work: bulk carriers spend more time in port than other ships, more players are needed in the field, significant material handling experience is requested. The company can handle all types of materials and is largely involved in wheat, iron ore, sunflower pellets, soybean meal pellets and coal. Sunflower pellets come mainly from Black Sea (Ukraine), soybean meal pellets from Brazil and Argentina, and iron from Brazil and Australia. Wheat is exported to North Africa (Algeria, Morocco,Tunisia, and Egypt) and coal to Australia. The remaining 40% of Agena Tramp business is shared between Liner and cruise, liquid and heavy lift/project cargoes. Agena Tramp remains at the cutting edge of technology and has invested in a global IT system to deliver a high level of service performance. The company’s priority is to offer complete solutions to customers for the carriage of cargo. South-East Asia:Thailand and Myanmar; and v Caribbean:The French West Indies. The company’s future plans is the expansion of its worldwide partners’ network in order to be a key shipping agent for global accounts and multinational companies. Agena Tramp continues to pursue value-creating opportunities, to develop and strengthen its dry bulk activity . LD Ports & Logistics has been selected to manage the coal handling and transshipment facilities to supply the Hassyan clean coal power project in Dubai¨. solution for Hassyan clean coal power plant project. This ultra-supercritical plant is the first coal-based power plant in the Middle East and is designed to be a ‘best in class’ plant in terms of efficiency, output and adherence to global environmental best practices. The consortium has been selected by Dubai Electricity and Water Authority (DEWA) as the preferred bidder for the first phase of the 1,200MW Hassyan clean coal power project. The consortium bid a levelized cost of electricity (LCOE) of 4.501 cents/KWh based on May 2015 coal prices. The plant will start commercial operation by March 2021 with a net output of 1,200MW, representing a 12.5% boost of the Dubai current grid capacity. “We are delighted to have been selected as preferred bidder for this major project which demonstrates the strength of the company’s technical capabilities and capacity to offer reliable, performing and environmentally friendly transshipment and port operations at a competitive price.” said Emmanuel Dur, Managing Director of Louis Dreyfus Armateurs ports & logistics division. ”LDPL’s competencies in Engineering and Newbuildings as well as the project team’s expertise will ensure the project is managed in an exemplary manner. We are enthusiastic to continue supporting Dubai ambitions in providing electricity and water services according to the highest international reliability and availability standards”. The transshipment solution will consist in Floating Crane Transshipper Units (FCTUs) and highly manoeuvrable shallow draft self-propelled barges that have been specifically designed to meet the environment and natural restrictions of Hassyan project. FCTUs and self-propelled barges will be used to unload Capesize vessels and deliver coal at daily rate exceeding 36,000 metric tonnes per day. The coal-fired power plant will produce sufficient electricity to power nearly 250,000 households in Dubai. The sensitivity with respect to limitation of dust emission for Hassyan clean coal project has motivated LD Ports & Logistics to use systems for controlling and suppressing airborne dust emission during coal handling operations. Regarding barging operations, LDPL will use specific barges, especially designed for this project. They are equipped with their own dust suppression systems. Dust and coal particles will be contained inside the cargo compartment by use of an atomized water screen. This protection curtain covers the whole lengths and both sides of the coal compartment, ensuring an optimal and permanent protection during transshipment, transportation and unloading of barge. Dust emission is therefore fully contained within the cargo space thanks to the steel cover structure and the high pressure atomized fresh water barrier. Each barge generates its own fresh water reserve through reverse osmosis process. The cargo space is fitted with a water drainage collection and treatment system on board to recover the coal dust. LD Ports and Logistics focus on offering a one-stop solution, from the mining site to the end users with an expertise that covers the entire maritime value chain. Being a specialized branch of Louis Dreyfus Amateurs, established in France, LDPL can count on highly-skilled engineers, graduated from the France top ‘Grandes Ecoles’ to address their client’s challenges. France is well known the world over as an attractive place to do research and development. LDPL benefits from this entrepreneurial culture and strong sense of innovation to steer their way to success and deliver high value added solutions. The French engineers enjoy an excellent reputation. Some of LDPL’s most critical innovations, like BATOS, Barging and Transshipment Optimization software has been developed in cooperation with the top university for science and research in Paris. This is why there are numerous good reasons for doing research and develops innovations in France. The engineering and professional capabilities of LDPL’s team enables to address maritime challenges with confidence and designing barging and transshipment solutions perfectly adapted to the constrains of each project. LDPL bring barge optimized loading schemes into focus: these aim at loading barges with optimum cargo quantities and following the appropriate loading sequence so that a safe under keel clearance can be maintained at any moment of the tide, while maximizing the cargo intake. An advanced model calculates draft variation due to trim motions for different tide and wave scenarios. This barge loading simulation determines the trim allowance needed, depending on the type of loader used (travelling, fixed, rotating chute etc. ), water level variation and number of loading passes. Such studies are critical to identifying the most efficient barge loading facilities. The model also points out the exerted bending moments and shearing forces. A comprehensive barge trimming and stability calculation is eventually performed to ensure that barge can be loaded and depart without any risk of grounding. loading more when possible is to increase the export capacity while reducing the fuel consumption. generates savings on the long haul ocean freight. Accessing a channel or a loading berth sometimes faces restrictions such as waiting for adequate tidal amplitude or waiting for specific hours during the day. For such projects, LDPL uses an ad-hoc program to evaluate the risk of waiting time at the critical zone and thus to design the most suitable solution. From an operational point of view, in order to further optimize the transshipment and export, LDPL has developed a tool for an optimum interaction between transshipment and shipping operations. The shipping plan can make a provision to position ocean-going vessels laycans when operational conditions (tides, waves, wind...) are favourable, so as to maximize the probability to have an OGV arriving at the best moment possible. LDPL bases most of its analysis on a Monte Carlo simulation process, computing meaningful indicators over thousands of scenarios tested in order to accurately measure risks. LDPL can evaluate risk of congestion and demurrage at the terminal simulating ocean-going vessels arrivals and integrating the laycan schedule and the shipping plan. LD Ports & Logistics is part of Louis Dreyfus Armateurs group, a French family business founded in 1851 which has continuously been a leader in the field of maritime bulk transportation and logistics. LDPL is the specialized subsidiary focusing on Mining sector and Energy industry, proposing a wide range of integrated services in floating terminal and transportations, forging long-term partnerships with leading industrial groups around the world. LDPL has also acquired extensive experience in the development of shallow water solutions in order to “feed” their floating terminals. SDV Logistique Internationale, a subsidiary of Bollore´ Logistics, one of the top ten leading global transport and logistics groups, and HAROPA recently signed a preliminary agreement for the construction of a warehouse on the Parc Logistique du Pont de Normandie 2 (PLPN2) platform at the Port of Le Havre in France. surface area of 75,000m2 for its transport and logistics activities at the Port of Le Havre. Delivery of the building is forecast for October 2016. “This new project is an integral part of our growth strategy for major global hubs. We are rolling out innovative and efficient logistics tools within these hubs, which are in line with the latest quality standards. The strengthening of our positions in the main international trading hubs, along with a competitive services offering, enables us to attract greater flows and manage the logistics and supply chain activities of our customers. Other major projects are currently underway in France and abroad,” said Thierry Ehrenbogen, Chairman of SDV Logistique Internationale. “We welcome the signing of this preliminary agreement which underlines our determination to facilitate the availability of land according to our customers' schedules” stated Herve´ Martel,Vice-Chairman of HAROPA. “HAROPA is today proud to welcome the Bollore´ Group and support its growth in the field. The presence of SDV Logistique International at PLPN2 and also the whole length of the Seine, and in particular at the Port of Rouen, is exemplary in terms of job creation and value added as well as the close relationships that the company has with international transportation operators”, added the CEO of HAROPA – Port of Le Havre. SDV is proud to announce this expansion programme. Based at PLPN1 at the Port of Le Havre since 2001, it was one of the first private logistics providers to open operations in the zone. According to Henri Le Gouis, SDV CEO of the Western Europe area,“this new warehouse represents a total investment of €30 million. It further underlines our commitment to supporting the growth of the Port of Le Havre, by positioning ourselves as one of the leading international logistics players present at the PLPN2 platform”. In a bid to stay abreast of market changes and its customers' need, the PLPN2 warehouse will provide ‘dry’ goods storage. This will allow SDV to vacate and develop a large 5,000m2 area solely dedicated to Reefer logistics in the PLPN1 zone. With France preparing to host the 21st UN Climate Change Conference, environmental issues are more pertinent than ever for the Bollore´ Group. The future warehouse, which will be located right next to the new multi-modal terminal at Le Havre, will be certified LEED®v4 and BiodiverCity®. SDV Logistique Internationale is a brand of the Bollore´ Transport & Logistics department, a major player in its sector of activity — N°1 in France and Africa, N°5 in Europe — and is present on all continents with 36,000 employees based in 102 countries. SDV has a leading position in France and is one of HAROPA's largest customers along the length of the Seine. It is already well established in Rouen as well as in Paris and Le Havre. The Port of Le Havre is the leading container port for French foreign trade; one of the main focuses of its 2014–2019 strategic plan is logistics. The port has three logistics parks under development: PLPN1 (construction potential of 70,000m2 of warehouse space), PLPN2 (committed protocols for the development of 168,000m2, of which 36,000m2 with SDV) and PLPN3 (potential to house around 175,000m2 of warehouse space). As part of the HAROPA consortium, the three ports along the Seine route (Rouen, Paris and Le Havre), which together form the number five European port complex, own close to 1,000 hectares of land and land reserves. HAROPA supports its customers in the implementation and management of competitive and long-lasting logistics systems to serve the greater Paris region, the second largest European consumption basin, with its 25 million habitants. Port-La Nouvelle is the third-largest French port on the Mediterranean coast. Owned by the Languedoc-Roussillon Regional Government Council since 2007, the port is managed by the Chamber of Commerce of Narbonne. Regular investments have allowed complete diversification of the activities. The port manages the import and export of all kinds of goods including petroleum products, various liquids, cereals, agricultural products, dry bulk commodities, general cargoes and heavy lifts. The annual traffic is two million tonnes. Over the years, Port-la-Nouvelle has built a solid reputation for reliability. The port ranks No. 2 of the French Mediterranean ports for petroleum products imports and No. 1 for durum wheat exports. Due to the increasing traffic and anticipating the ever-increasing size of ships, the Port Authority has planned a deep sea port expansion with an initial investment of over €325 million. The port expansion will see the creation of a new outer harbour to accommodate larger ocean-going-vessels up to 225m length x 36m beam x 14.50m draught (dredging at minus 16m), corresponding to ships of about 80,000dwt for dry, even more for liquid cargoes. The future port will propose investors 80 hectares of land plots available industrial sites and about 70ha of new terminals. The dry bulk terminals will have 2,000m of quays out of which 1,500 linear metre for vessels of 14.50m draught and the liquid terminal will be linked to four berths (14.50m draught still). Shore side, the land plot for the future liquid terminal will be delivered in 2017. Sea side, the first infrastructures are expected to be delivered by 2020/2021. It consequently offers industrial accounts and terminal operators the necessary time to plan their projects; three years prior, breakwaters will be completed to receive the first vessels. This new deep sea port will offer shippers and receivers new logistics opportunities in the South of France and Europe. The long-term aim of the future port is to develop traffic whilst attracting new projects and trades. Port authorities are open to any projects proposed by international operators and now focus to strengthen the project with industrial groups who could invest in the port, plan industrial projects and create local jobs. Thanks to its new nautical conditions, the future port will be able to trade with new markets. Today Port-La Nouvelle only serves the Mediterranean Rim, Northern Europe and the West Coast Africa. In future, the Port will develop links with Asia, Indian Ocean and South America. The port will have better connections to international trades and will be more attractive for both existing and new customers. Accordingly, the Languedoc-Roussillon Region intends to play a major role in the Mediterranean market. Commercial ports are structural elements of Regional territories and are therefore extremely attractive locations for economic development. Already, the Regional Council spends nearly 40% of its annual budget in regional transport infrastructures (ports, airports, railways and public transportation). Fourth French region for the rate of business creation, Languedoc-Roussillon, the population of which is expected to increase by over 20% by 2040, shows an ambitious and consistent investment policy that safeguards its future. The ports of Antwerp in Belgium and Montreal in Canada have decided to renew their collaboration agreement for a further three years. between Antwerp and Montreal, Quebec’s largest port, in 2013. This agreement runs until the spring of 2016, but the parties have now decided to extend it for another three years. It is hardly surprising that the two ports get on so well together, as there are many similarities between them. Both are located deep inland on a major river, and both serve a vast hinterland covering many provinces and indeed entire countries with huge purchasing power and major concentrations of industry. Furthermore, Canada as part of North America is one of the main ‘foreland’ partners of Antwerp. In 2014, the total volume of freight carried between Antwerp and Canada was 4.5 million tonnes. The upcoming implementation of the trade agreement between the EU and Canada — the Canada-European Union Comprehensive Economic and Trade Agreement (CETA) due to be ratified in 2016 — should give a major boost to this trade in the next few years. Since 2013 trade relations between the two regions have developed greatly. The first visit by a delegation from the port of Montreal followed soon after the initial signing of the agreement. The following year a delegation from Antwerp headed by port alderman Marc Van Peel travelled to Canada. Then at the beginning this year Philippe Couillard, Prime Minister of Quebec, paid a working visit to the port of Antwerp. And just before the summer Antwerp played host to another delegation from the port of Montreal. A few weeks before the arrival of this last delegation Couillard presented Quebec’s new Maritime Strategy during a speech in Montreal. The strategy is aimed at creating employment, facilitating transport and logistics and promoting sustainable development of industry. “Quebec is readier than ever to makes its expertise, well developed infrastructure and huge, expanding economic market available to its European partners,” declared Couillard on this occasion. On Wednesday 30 September, the logistical service provider Van Moer Group gave the official go-ahead for its investment in the Port of Ghent. Ghent Port Company is elated that this logistics company is setting foot ashore for the first time in Ghent port. In a storage space of 6,500m2 (‘Van Moer Ghent Warehouse’) there is room for the storage of various goods in racks and at bulk locations, for fast transshipment (‘cross-dock’) and value- adding logistical activities such as repacking, labelling, filling and repalletizing. The storage space is situated in the Skaldenpark industrial estate at the R4-East. This investment is good for 15 to 50 jobs. Van Moer Group chose the Port of Ghent for these activities because of its good connections to France, the Netherlands and Germany by road (E17/E40) and via inland waters. The Port of Ghent is already active in the sector of value-adding logistical activities, storage and distribution. With this new investor, the port is strengthening its position. Logistical service provider Van Moer Group is celebrating its 25th birthday this year. Van Moer Group and Ghent Port Company organized a customer event on 30 September, at the Port of Ghent’s Visitors Centre. The Antwerp logistics company has drawn up a strategy for the coming years that focuses on further growth and diversification. For example, this new establishment in Ghent is in the pipeline and the chemicals sector is aimed at, among others. In the course of 25 years,Van Moer Group transformed from a small family business into a completely integrated logistical service provider. The company has a turnover of almost €87 million and employs 560 people, of which 430 are in Belgium. It is active in Romania and Brazil. The service department of Hansen Industrial Transmissions nv (HIT) has introduced its ‘All- in-One spares kits’ in March this year. These kits contain all of the spare parts and accessories that are necessary to replace critical components in a gear unit, such as a shaft or a gearwheel. When the requirement arises to replace a faulty shaft or a damaged gearwheel, users can obviously attempt to order the original spare parts. However, in addition to the shaft or the gearwheel, it is usually the case that bearings, seals, etc. also need to be replaced. Consequently, the user’s purchasing department will most likely have to contact several vendors to secure the various parts. From there, they have to request and compare quotes, prepare orders and start up the internal logistics to ensure that everything is delivered in good time. This is quite a cost-intensive and time-intensive procedure. In the context of HIT’s efforts at attaining sustainable partnerships, in which ‘thinking together with the customer’ is an underlying theme, it now offers ALL-in-ONE SPARES KITS. These complete spare parts packages are available for all of the HIT product ranges. The benefits available to end users are countless. In particular, they will experience better control of the total cost of ownership of their installed drives and the total package price for their spare part(s) will be cheaper thanks to the ‘all-in-one’ and ‘one-stop-shop’ principles. In addition, the customer is guaranteed the correct parts (OEM certified original parts). This in turn will ensure an extension to the life of the drives as well as making traceability straightforward. Finally, the spare parts packages are also covered by the one year HIT guarantee terms.